Camu Camu is a small red berry that grows in bushes along rivers. It has a citrus flavour and it can be blended into your favourite smoothies or recipes. Suggestions for use: 1 tablespoon per day (15 g) added to your favourite juices, smoothies, or water. It can also be added to numerous recipes, such as cakes, biscuits and other sweet recipes. 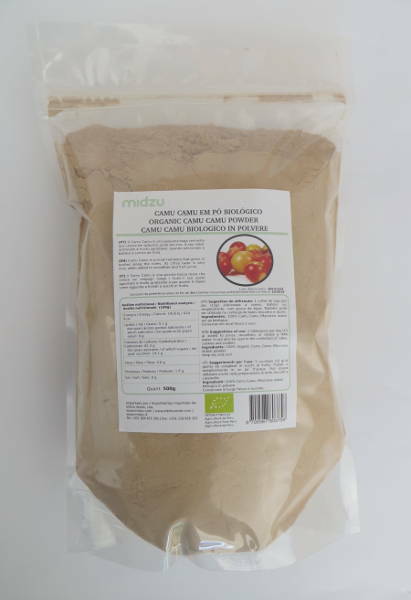 Ingredients: 100% Organic Camu Camu (Myrciaria dubia) powder.